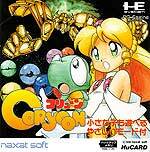 Horizontal shoot 'em up that casts you as a baby dragon out to free a princess from the clutches of an evil....well, you get the idea. Gameplay is traditional, with power-up weapons that include multi-way shot and 'miniature' mode and a sort of reverse R-Type beam where you don't shoot to power it up. Also contains 2 minute and 5 minute time attack modes. 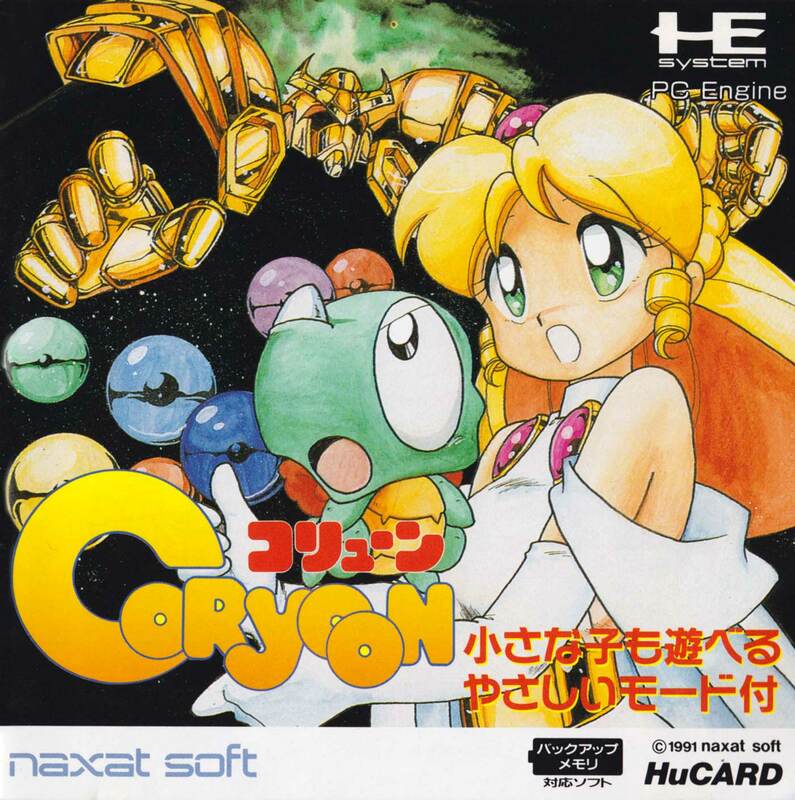 Coryoon is another cute em up, a pricey one, that features colourful sprites and some hectic side scrolling action. The game also borrows two interesting mechanics from other games - the miniature mode from Air Zonk, and the axe charge from Legendary Axe - my not firing, your power meter builds up and unleashes a bigger, more powerful projectile. The multi layer scrolling is well done and adds a lot to the game, and there's a lot to do, but it doesn't seem too difficult.